This is the final part of my inaugural lecture at City University London, ‘Is Ice Cream Strawberry?’. You can also read part one, part two, part three, part four, and part five. A full PDF is available here. The first path is a self-interested profession that sees value in users beyond their eyeballs. The second path is a self-interested profession that allows others to control the public sphere. I would obviously not expect the industry to be anything but self-interested. This entry was posted in online journalism and tagged inaugural lecture, is ice cream strawberry, ulises meijias on March 3, 2011 by Paul Bradshaw. This is the fifth part of my inaugural lecture at City University London, ‘Is Ice Cream Strawberry?’. You can also read part one, part two, part three, and part four. The public sphere used to be our territory, but we are failing to protect it online. The difficulties experienced by Wikileaks last year were the most visible demonstration yet of just how far the corporatisation of the public sphere has become. Some people described it as the beginning of the first Internet war. They’re just being over-dramatic of course, but it was one fight in a whole series of turf wars over who controls online spaces. We are thankful that our printing presses are not shut down without due process. But from Mastercard and Visa to Apple, Paypal, Amazon and even data visualisation tool Tableau – company after company pulled out of the production chain without a court order in sight. This entry was posted in online journalism and tagged corporatisation, is ice cream strawberry, net neutrality, public sphere, Wikileaks on March 3, 2011 by Paul Bradshaw. This is the third part of my inaugural lecture at City University London, ‘Is Ice Cream Strawberry?’. You can find part one here, and part two here. 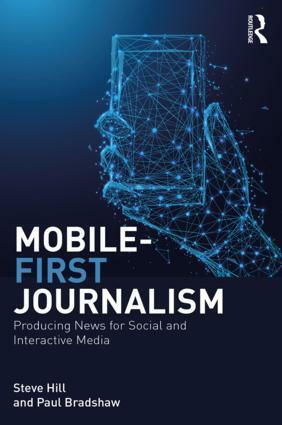 The problem is that most media organisations still think they are manufacturing cars, and they still see journalists as part of an internal production line. 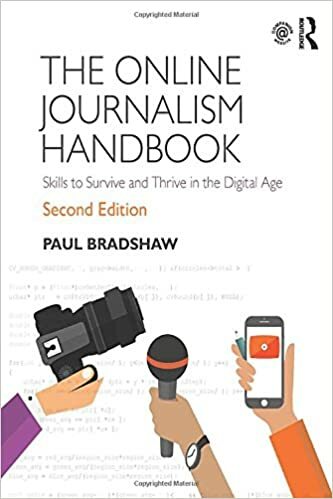 Even the most progressive simply expect existing staff to become multiskilled multiplatform journalists, doing more work – but still on the same production line. But we can redraw that diagram of the overlapping of newsgathering, production and distribution as a network diagram. And the problem with the production line approach becomes more apparent. This entry was posted in online journalism and tagged ego, inaugural lecture, is blogging journalism, is ice cream strawberry, soren kierkegaard on March 3, 2011 by Paul Bradshaw. This is the second part of my inaugural lecture at City University London, ‘Is Ice Cream Strawberry?’. The first part can be found here. The newspaper industry grew up in spite of government regulation. The broadcast industry grew up thanks to government regulation. This entry was posted in online journalism and tagged clay shirky, distribution, inaugural lecture, is ice cream strawberry, newsgathering, production on March 3, 2011 by Paul Bradshaw. The following is the first part of my inaugural lecture at City University London, ‘Is Ice Cream Strawberry?’. The total runs to 3,000 words so I’ve split it and adapted it for online reading. Samuel Morse was a portrait painter. And he invented the telegraph. The telegraph is probably one of the most mythologised technologies in journalism. The story goes that the telegraph changed journalism during the US Civil War – because telegraph operators had to get the key facts of the story in at the top in case the telegraph line failed or were cut. This in turn led to the objective, inverted pyramid style of journalism that relied on facts rather than opinion. This entry was posted in online journalism and tagged ada lovelace, associated press, convergence, david mindich, digitisation, edwin stanton, gottfried leibniz, inaugural lecture, is ice cream strawberry, objectivity, samuel morse, technology, Telegraph on March 3, 2011 by Paul Bradshaw.